I read this article and found it very interesting, thought it might be something for you. 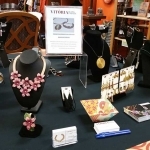 The article is called Shop Our Jewelry at Ngozi in Durham! and is located at https://vitoriaglobalfashion.com/blog/2017/04/12/shop-jewelry-ngozi-durham/. Shop Our Jewelry at Ngozi in Durham! 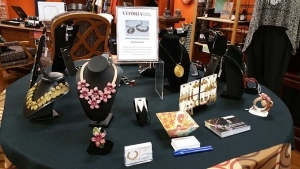 Vitória jewelry is now available at the Ngozi Design Collective in Durham, NC. We’re excited about this partnership with a local business that shares our commitment to handcrafted and unique fashions and accessories. Ngozi features stylish and one-of-a-kind merchandise. At the store, you can shop our new butterfly and floral leather jewelry, as well as our Golden Grass collection. Both of these collections are bestsellers and have been very popular with our customers. Our Golden Grass jewelry is made from a rare, gold-colored plant that is only grown and crafted in Brazil. Our new leather and Golden Grass jewelry is unique and fashionable, yet moderately priced. It’s also made by some of the top craftspeople in Brazil. We’re thrilled to give our customers access to handcrafted Brazilian jewelry at this new location! We’re pleased to join Ngozi’s other local and international designers, such as Nashona and Andrea Carter. This fashion-forward boutique has become a popular shopping destination in the Triangle. We’re sure our customers will enjoy browsing our jewelry collections, in addition to all the other great merchandise in the store. Check us out and tell your friends. Ngozi is located at 321 W. Main Street in Durham. Stop by and shop local!